If you find yourself constantly struggling to lose stubborn areas of fat and tone up your body, the AquaShape Liposuction with Body-Jet® system may be the perfect solution for you. Whether it’s a tummy pouch, flabby thighs or love handles, the AquaShape Liposuction with Body-Jet® system can help without leaving you swollen, bruised and sore for weeks like other aggressive liposuction techniques. AquaShape Liposuction is a revolutionary water liposuction technique that utilizes a gentle, water-based fat removal system called Body-Jet®, a ground-breaking method of combating excess fat to sculpt your body that leaves you looking younger, slimmer, and more toned than ever before. The AquaShape Liposuction with Body-Jet® system provides stellar results with far less patient discomfort, downtime, and medical risk than traditional liposuction. Traditional liposuction involves applying a cannula that uses a strong suction to violently attack and purge body fat; this typically leaves patients swollen, bruised and sore for many weeks. AquaShape Liposuction uses the innovative and precise Body-Jet® fat removal system to gently flush out fat from the body, allowing patients to see significantly better skin tightening and dramatically less bruising, swelling and bleeding. There is no need for general anesthesia, causing less medical risk for the patient. Furthermore, there is virtually zero downtime, meaning patients can immediately return to regular activities following the procedure. The AquaShape Liposuction Body-Jet® technique not only permanently eliminates fat cells, but also promotes skin tightening for superior, more sculpted results. By harnessing the pulsations of a water-jet, this system gently and efficiently dislodges fat so that it can be aspirated out of the patient’s body. Because Body-Jet® gently separates tissue within the fat compartment, the suction cannula can move freely without causing damage to surrounding muscles, blood vessels, and nerves. In aggressive traditional liposuction, trauma caused during the aspiration process could result in bleeding, nerve damage, a lumpy appearance, and the rupture of septal attachments between deeper structures and the skin. With the water-jet, septal attachments are largely preserved, trauma is limited, and patients experience a dramatically smoother recovery. Futhermore, the Body-Jet® system uses far less infiltration fluid than is typically required by traditional liposuction, limiting the amount of bloating and swelling while still presenting exciting possibilities for fat transfer. 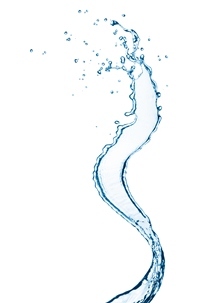 With the water-jet, the removed fat can be immediately transferred to augment and rejuvenate another part of the body. With traditional liposuction techniques, suctioned fat was not ready for transfer until first going through an extensive centrifuge process to remove the excess fluid. Because the AquaShape Liposuction Body-Jet® technique does not require sedation, most patients won’t experience feeling whoozy or any discomfort after the procedure. In fact, some people refer to AquaShape Liposuction as the “lunch break lipo” since it can be done in less than an hour, allowing patients to continue with their regular activities that same day. This office-based procedure typically takes 30 to 45 minutes for each area treated. AquaShape Liposuction is not meant for patients who are extremely overweight or obese. It is better suited for patients who wish to target areas of excess fat and flab around the face, neck, arms, bra area, abdomen, hips, thighs, knees, and buttocks.